Data is the lifeblood of any business. Financial records, customer files, sales records, operation files, historical compliance data, and other miscellaneous company documents all contain pieces of information vital for the business to function and thrive. However how would your business fare if there was a catastrophic loss of all data? Statics state that 80% of businesses fail after suffering a major data loss. What could cause such a major data loss? Major Disasters: Major Disasters such as earthquakes, hurricanes, floods, or even disasters caused by terrorist acts can destroy hardware and the valuable company data contained on them. If backups and redundant servers are not housed in a different geographical location than your main office or datacenter, then your company may not be able to recover. Hardware Failures: A catastrophic hardware Failure can eventually happen – The older a piece of equipment is, the more likely such a thing could occur. The true disaster occurs when the critical data housed on server hardware was not backed up, the original application installation files are no longer available or some other problem making the server unrecoverable. Backup Failures: Without periodic restoration tests some are surprised to find out that their backup was faulty. Tapes can be lost due to improper cataloging, or even stored improperly leading to corrupted media. Most would agree that planning for a disaster is not the most exciting part of running a business. However, such planning it is truly imperative. Recent surveys show that as high as 50% of SMB’s admit to having no disaster recovery plan, whereas 41% of them don’t even consider these types of plans of high relevance to their business. The fact remains that SMBs and startups that due not adopt a clear strategy for backup, disaster recovery, and business continuity, put them self at great risk. Apart from incurring considerable unforeseen costs, which can greatly affect a companies’ financials in a negative way, companies that do not recover within 10 days are not likely to stay in business afterwards. This implies the urgent need of developing a disaster recovery plan that will efficiently protect your data and your company in case of a sudden strike of disaster. The cost to implement effective cloud based backup and disaster recovery solutions are usually more cost effective than traditional, on premise tape or disk storage. One would need to consider the cost of the hardware needed to backup the data, backup software licenses, the cost of the storage, the cost of the electricity and cooling system for an on premise data center or data closet, the cost of an offsite storage facility, a DR site in another location, and the cost of qualified technical persons to manage the backup and recovery and testing process. After adding up all the costs, the low monthly fee of cloud based solutions quickly become attractive. Purchasing hardware and implementing a storage solution can take time. Installing servers and distributing backup agents also are time-consuming. Cloud solutions can be put into production in a fraction of the time of traditional on premise ones. Testing can begin in hours, not days. With on premise backup and DR systems, the location of where the data is physical stored is important for planning backups. But what if the company moves it headquarters and/or data center to a new location? What if the company opens another office that produces large amounts of data to be backed up? These changes would cost additional time, money and effort in re-adjusting the systems and infrastructure. On the other hand, cloud based solutions are extremely flexible and adjustments to the system can be made quickly without the need of a major re-architecture. This can be especially attractive to startups. Cloud based solutions deliver more convenient and comprehensive backup and disaster recovery options. These options include the possibility of backing up not only files and folders, but entire applications or entire servers and desktops via the same system. Databases, virtual machines, and virtual appliances can also be backed up conveniently with one central process via the cloud. Failed backups due to tape drive errors, or jammed tape jukebox mechanisms are no longer a problem in the cloud. Many services offering backup solutions for cloud based resources offer a 99.9% uptime or greater. 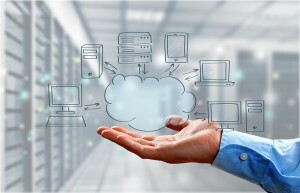 Unlike on premise backup solutions, cloud solutions offer the unique possibility of having geographically redundant online copies of each backup. This is beneficial should a disaster hit an entire region. Additionally data backed up in one region can easily be restored in another region on the other side of the globe. While traditional storage solutions can require significant amount of architectural and technical work to setup and to operate on a day-to-day basis, cloud technologies offer complete solutions that may not require in-house IT resources to maintain. Many functions can be easily automated in the cloud. In addition your cloud managed services provider can provide a team of experts to maintain and monitor backups for your entire organization from a central location. To sum things up, having a backup and disaster recovery plan is essential for any business including SMBs and startups. However, unlike traditional systems, cloud based technologies provide sophisticated and improved backup and disaster recovery options tailored to meet the requirements of every business regardless of size. For more information on cloud based backup solutions contact CloudFirst today.